This autobiography was written by my grandfather, Paul Diamond, probably around 1980. 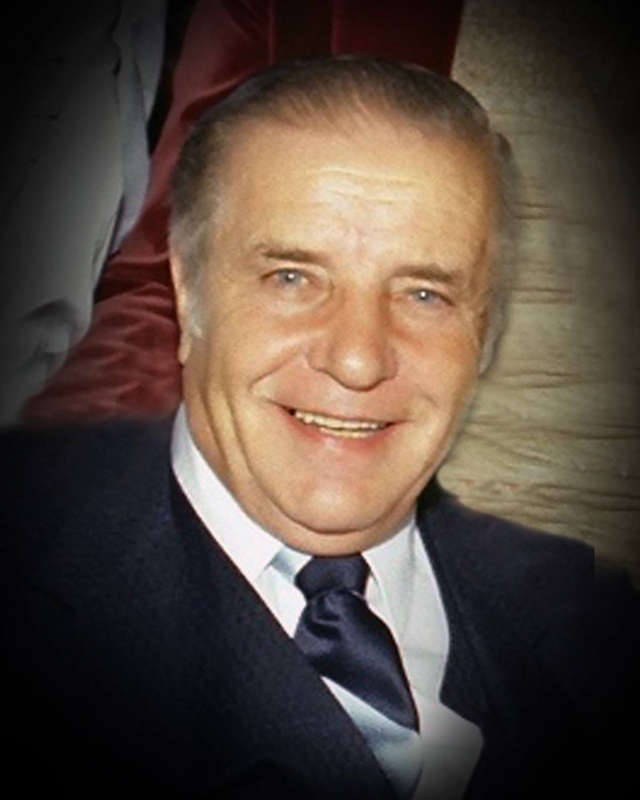 I, Paul Diamond, was born in Wolyn, Ukraine, Poland, in the year 1922. We were a family of fine children, two sisters and three brothers. I went to school and I also attended Yeshiva until 1939. When I was 17 years old, the Russians entered our area. I went to auto mechanic school for one year; then they assigned me to drive a truck for a hospital. In 1941, when Germany invaded Russia, it started to look very bad for the Jewish people. First, they took away our homes and valuable possessions. Then the Nazis put us in the Ghetto. There was no more school, no more freedom, and we had to do very hard work. 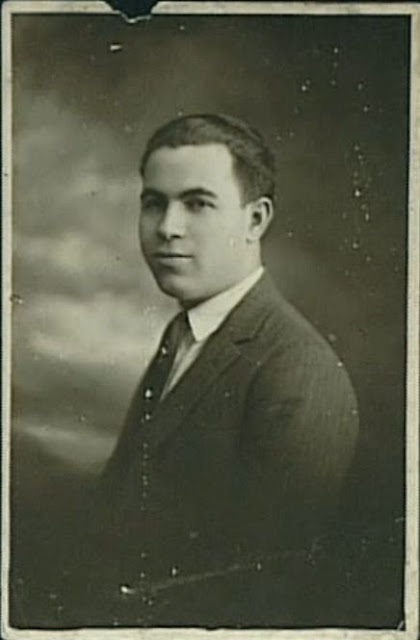 My grandmother had told me that she had an uncle Mordechai "Motke" Fine who had come to America, but that because he was diabetic, he was sent back to Russia where he was drafted into the Russian Army to serve in World War One, and then he died soon after. I'd searched sporadically for a ship manifest to document this, but I'd never found it (Fine is a relatively common name), even using M followed by a combination of wildcards. When transcribing my grandmother's story, I decided to give it another try. I didn't know when Motke was born or when he came to the US, but I bounded the search for all Fines, Feins, and Fajns from Russia within what would make sense given his sister Sheva's birthdate (she was my great grandmother) and the fact that he was back in Russia to be able to serve in World War One. This is the eighth in a series that summarize an interview of my grandmother, Sonia Bajcz/Beitch Diamond (then Sara Bajcz), from about 20 years ago. This continues her story of leaving the DP camps and arriving in America. Previous posts in this series are here, here, here, here, here, here, here, and here. 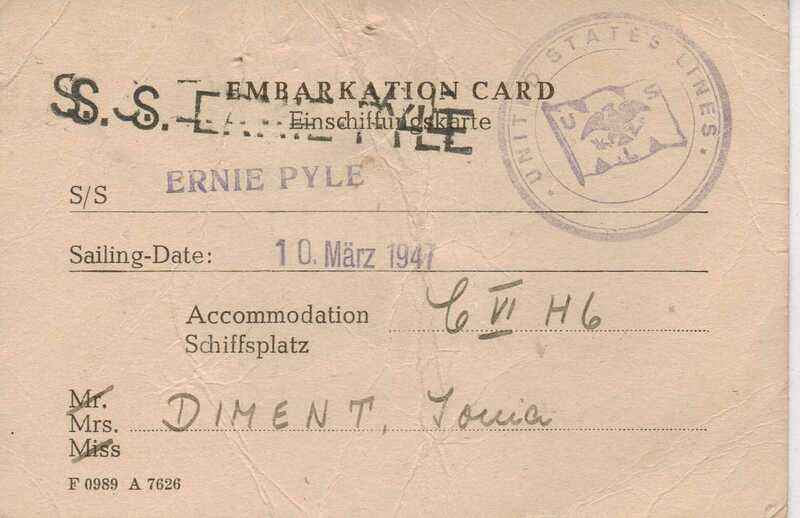 We went to Bremenhaven port, and we took the Ernie Pyle. We were five days at sea, and we ran into stones which made a hole in the ship, and we were in trouble. In the camp, the people who remained heard that we had drowned, and they already said kaddish for us. But the boat took us to Plymouth, England. We stayed in the water because the captain didn't have money to anchor in the port. We waited there for a week until the Marine Marlin came to pick us up. Everyone was sick because the weather was so bad. It took us 3 weeks until we came to the United States. It was not a passenger ship--it was meant to be a cargo ship, and it was a piece of junk. There were beds hanging on chains, and the weather was so bad that they flew back and forth. My husband and his sister were so sick. His brother-and-law and I could walk around. Devora stayed in bed until we could see the Statue of Liberty, and I told her that she'd better get up because the lady wanted to welcome her. This is the eighth in a series that summarize an interview of my grandmother, Sonia Bajcz/Beitch Diamond (then Sara Bajcz), from about 20 years ago. This continues her story of after the war had ended, living in DP camps. Previous posts in this series are here, here, here, here, here, here, and here. We eventually passed the border and stayed outside of Prague with the help of a group from Palestine. My husband showed me the city, since he knew it from his time in the army. Our honeymoon was going through swamps and water in bad weather. Finally we came into Munich. They had a special building where they sprayed us and our belongings with a special powder. 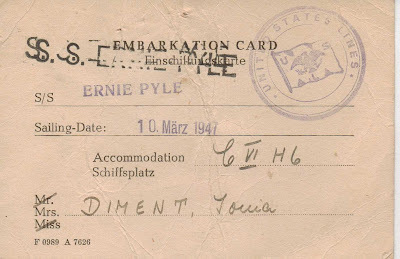 They sorted everyone into Deported Persons (DP) camps; we ended up in Leipheim. It was a Zionist camp; at night they would fill up trucks and take people to Marseille on a ship and then onto Israel. We were trying to send my mother to Palestine legally, and we younger ones were going to sneak in illegally. Leipheim was long blocks of barracks. It used to be a military post. Ours was across from #14. There, they gave us food packages. Others exchanged for things from the Germans and got non-kosher food. Some came into the United States with dishes and jewelery. My husband was caught right away and was put in jail because he had smuggled a few coins in his collar. This is the seventh in a series that summarize an interview of my grandmother, Sonia Bajcz/Beitch Diamond (then Sara Bajcz), from about 20 years ago. This continues her story after the Germans retreated from the Wolyn area and the Russians came in, and then as the war truly came to an end. Previous posts in this series are here, here, here, here, here, and here. We soon came to the village where my husband had left his brother and sister. His sister had left to Lutsk, but his brother was there. I left to find my mother. She was still with the man who had taken care of her the whole time. Soon after a Russian soldier saw me walking and was trying to catch me. I hid in a special bunker that a lady had. I told the lady after who said, "Didn't you go through enough already?" I took my mother along with a lot of Ukrainians, and we went to Lutsk by foot, since there was no place for us in the village. The war was not yet over, and we were still in danger. We got a room and lived there. My husband came there, too. But that year he was drafted into the Russian army, and they were first sent to Vladimir-Volynsk. I followed and took cigarette paper to be able to sell for some rubles. This is the sixth in a series that summarize an interview of my grandmother, Sonia Bajcz/Beitch Diamond (then Sara Bajcz), from about 20 years ago. 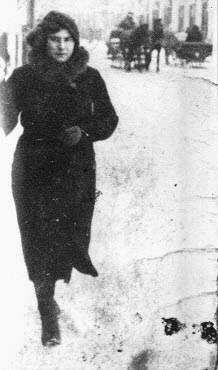 This continues her story of survival after the Senkevychivka Ghetto's destruction until the Germans were retreating from the area. Previous posts in this series are here, here, here, here, and here. But then we were requested to go somewhere else nearby--to Ostrov. It was surrounded by water, and there were Ukrainian people there who were Seventh Day Adventist. But we were on the outskirts in one room, with a bit of storage. These people were nice to us; they thought we were Ukrainian like them. We worked, but they fed us and treated us well. One day my husband was working, and a horse kicked him in the stomach. The Ukrainian workers came in with a wagon and wanted to take him to a hospital. I knew he could get caught, so I told them he needed to stay still, and I'd take care of him until tomorrow, and then we'd see. Since in Europe only Jews were circumsized, we needed to keep him out of the hospital.